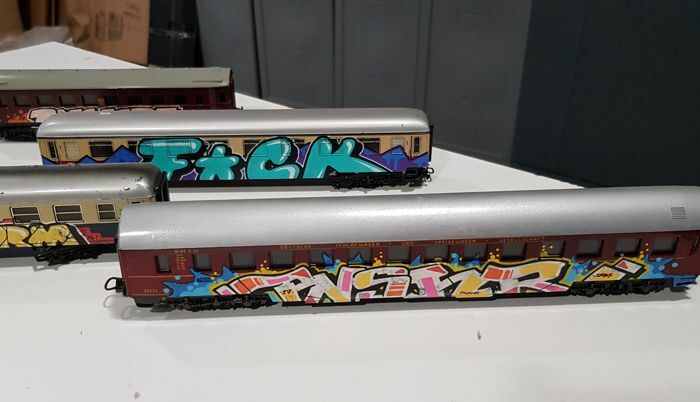 Set of 7 different H0 train carriages with graffiti, handpainted by Punisher. Each carriage is unique and original, extremely rare items for collectors. The set is composed by 3 Lima H0 carriages of the NS (one of them painted on both sides) + 3 Marklin H0 carriages of the DB and DS (two of them painted on both sides) + one extra Schicht H0 (painted on both sides). Punisher is a street artist hailing from the hot street art scene in Portugal. Well known for his satiric artwork - strongly connected to his graffiti roots - the artist uses his creativity mostly by creating modern concepts adapted to usual objects. Famous mostly for his banknotes and unique sculptures, Punisher's artwork value has been raising quickly in the street art market making his pieces a strong investment, as everything is completely handmade making each piece one of a kind worldwide. The set will be sent all together by registered mail. Everything worked out pretty well! parcel arrived perfect perfect packaging and item conform to descirition. also arrived with happy new year's greetings. what do you want more? 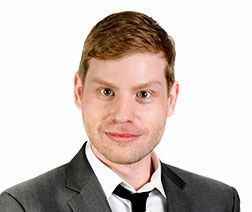 Je recommande fortement de ne pas traiter avec ce vendeur. Pour compenser mon lot arrivé cassé, il avait pris l'engagement de m'envoyer une autre œuvre. Il n'a pas tenu parole ! You can pick up this lot from the seller: Vila Nova de Gaia (Porto), Portugal.